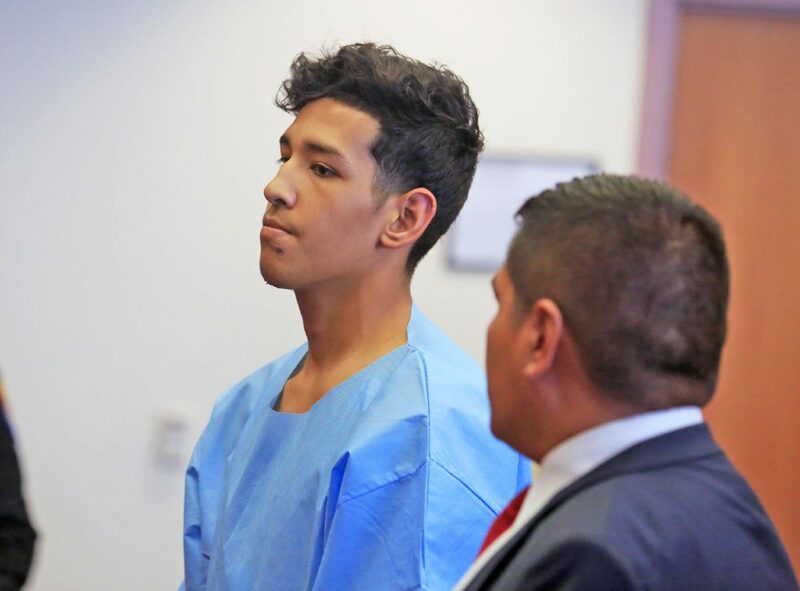 EDINBURG — The 19-year-old driver involved in an August collision that claimed the lives of three generations of a local family was arraigned Wednesday after a grand jury indicted him on three counts of intoxication manslaughter with a vehicle and one count of intoxication assault with a vehicle causing serious bodily injury. Luis Javier Gonzalez entered not guilty pleas on all four counts. Gonzalez, who admitted to being under the influence of Xanax, lost control of his car shortly before 9:30 p.m. Aug. 9, traveling across three lanes of traffic on East Monte Cristo Road in Edinburg and striking a car occupying Maria Isabel De La Garza, 55; Marci Lou Powell, 33; and Joshua Powell, 3. All three died at the scene, and the car’s fourth occupant, Jeanna Guajardo, 31, was seriously injured and remains in a back brace three months later. De La Garza, her daughters and her grandson were on their way to watching a pre-season Dallas Cowboys game. They were only a mile from De La Garza’s home and were wearing seatbelts at the time of the crash. Guajardo, as well as Powell’s husband and other family members, were present in the 93rd District Court to watch Gonzalez’s post-indictment arraignment. Gonzalez’s attorney, Adolfo “Al” Alvarez, requested a speedy trial for his client, who remains in jail on a $1.7 million bond. Assistant District Attorney Roxanna Salinas said the state is awaiting Gonzalez’s toxicology results; she told visiting retired District Judge Robert Garza that the Hidalgo County District Attorney’s Office will request that the Texas Department of Public Safety Crime Laboratory in Austin expedite the results. Gonzalez faces up to 20 years in prison on the second-degree felony intoxication manslaughter charges and up to 10 years on the third-degree intoxication assault charge, if convicted. The state has requested that the judge run his sentences consecutively if found guilty, according to a Nov. 6 court filing. He is scheduled to return to court for a pre-trial hearing in early December. This story was updated to reflect the correct amount of Gonzalez’s bond.